Lightweight, portable Aluminum Walkamps complete with Perforated Traction Grip Deck provide easier loading and unloading and ensure non-slip use in both wet or dry conditions. 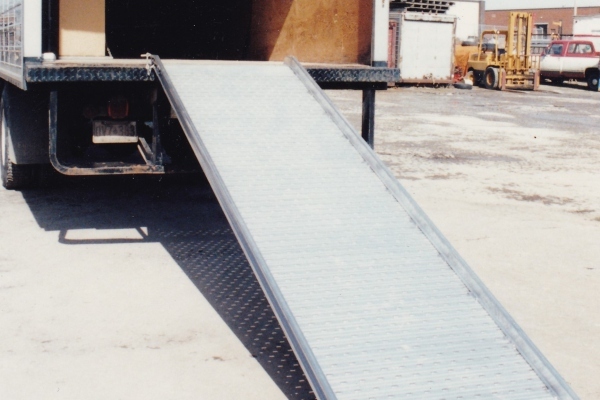 Safety pins are included to secure walkramp to truck or dock. To choose a walkramp please see our WALKRAMPS SELECTION GUIDE.